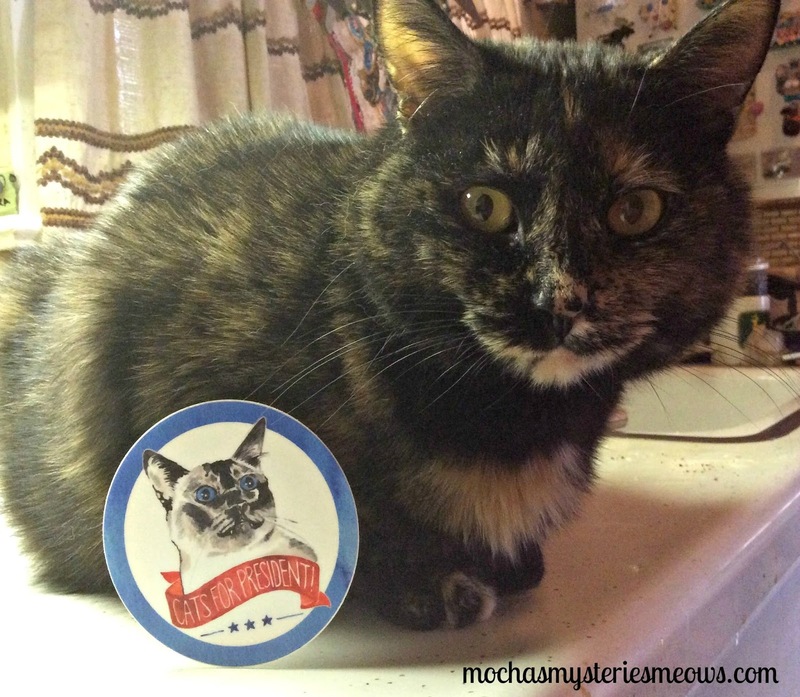 Many thanks to the Cat Sticker Club for sending us this pawsome sticker! We're honorary members! I love it! Plus, I should be president. I love this and we're fans of the CSC. Not sure if we'll be purring after the election either way! Thank goodness we don't have to vote coming from the UK. Cool sticker. I would rather vote for a cat!! We could all use some purrs, that is for sure! Mudpie, you look so cute with that sticker...What a great way to start the day! I love this! I would vote kitty in a heartbeat. And, as always, you are the purrfect model, Mudpie! Definitely a cat should be president! Keisha for Prez had a nice ring to it. Equal pay for cats! I'm sure you will be a great President Mudpie! Love that sticker! That is fabulous Mudpie, and today Mom voted for hopefully that next President who will make American Great again! Love this! I think cats would make great presidents. :) They are honest and they would be much nicer to look at on the news every night! We could all use a few more purrs. A cat should definitely be president! Way to go, Mudpie. Cats for President sounds great to us! So she looks to be just as qualified. We love her! What a very cool sticker!